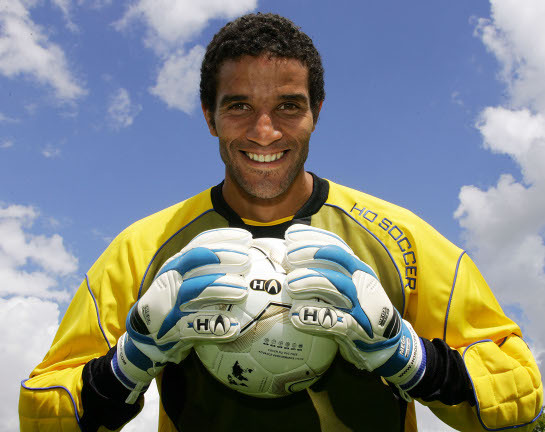 The Soccer Insiders: Where in the World is David James? Was trying to come up with a title here... anyways, I was going through some of our predictions a few weeks back and stumbled upon the fact that in the modern era of the EPL, no winning manager has ever been English. Man U fans always cross my mind, but SAF was Scottish. And Moyes? Also a Scot. Which led me to look at his playing history. His first club? Íþróttabandalag Vestmannaeyja (IBV). Yeah, don't ask me to pronounce it. My Icelandic is horrible. Regardless, their current assistant coach is a player/coach in the old school mold. At 43, he's played for his country's NT, making 53 appearances before retiring from international play. David James. When his signing was announced, attendance skyrocketed. With so few clubs, they need all the help they can get and James might be just that. Placing 3rd last year, IBV seeks to improve it's standing and hopefully eye Europe.